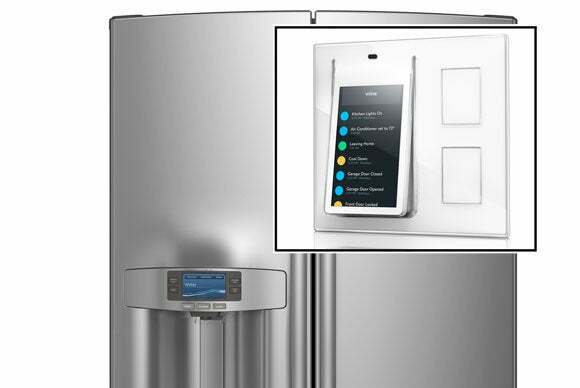 GE Appliances (a subsidiary that General Electric agreed to sell to Sweden’s Electrolux in September 2014) is sending out 20,000 bolt-on Wi-Fi modules to owners of recent-vintage GE-brand refrigerators. This is a rather expansive pilot project that GE is undertaking in collaboration with startup Wink, with a view to getting these older appliances on speaking terms with the latter’s connected-home hubs, including the Wink Relay. 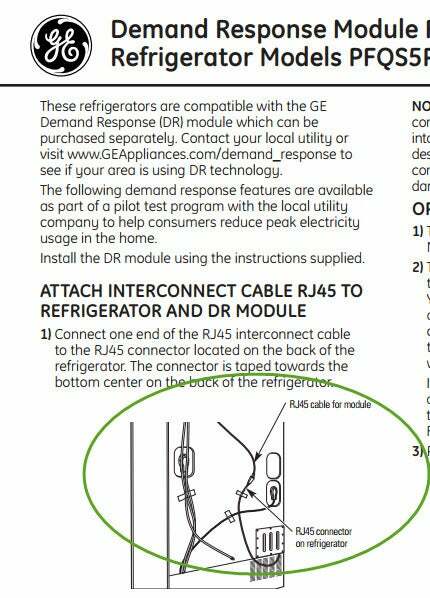 This GE document shows the location of the RJ-45 connector on some GE refrigerators. 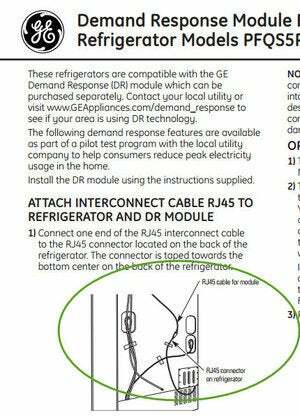 The GE Connect box, as its known, is compatible with select models of GE refrigerators sold after 2009. It’s a Wi-Fi module that’s designed to plug into the RJ45 connector found on these appliances. The presence of an ethernet connector indicates that the models covered under the program aren’t entirely “dumb;” in fact, GE at one time manufactured a “demand response module” that could be added to certain models of its refrigerators. When triggered by a local utility in response to high demand on the electrical grid, the module would automatically reduce the refrigerator’s energy consumption. Independently, the maker community came up with a hardware adapter and Linux-based software package—collectively known as the Green Bean—that enables a simple computer such as a Raspberry Pi to connect to and control a range of GE appliances that are equipped with Ethernet ports—not just refrigerators. According to Gigaom, Wink’s VP and general manager Brett Worthington told them last month that the shipment of the GE Connect Wi-Fi modules “would occur as part of a Wink software and hardware update that adds a ton of sensor capabilities.” Worthington also shared a couple of app ideas that the company currently has in mind for these connected fridges: virtual sticky notes and push notifications. Why this matters: Despite all its promise and allure, home automation is still some way from becoming mainstream. This is due in equal parts to the hefty price tags that most smart home appliances sport and because consumers tend to replace costly major home appliances in a staggered manner over an extended period (stretching as long as a decade). Retrofits like this could go a long way to make the connected home more commonplace.